The School of Education Ambassadors are a diverse group of student leaders who represent and serve as a voice for undergraduate students of all majors/minors within the school. Ambassadors host recruitment events/activities and offer support to prospective and fellow undergraduate students while creating a more meaningful experience in the School of Education. Serving as an Ambassador is a significant honor within the School of Education. Ambassadors will have the unique experience of serving as a student leader and voice for their peers among faculty and staff, and assist the School of Education in recruitment and retention of highly qualified students. The program advisor is Jennifer Strange. Meet the 2018-2019 School of Education Ambassadors below. 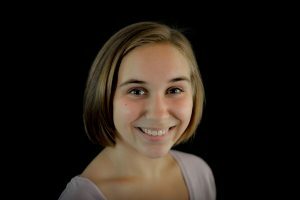 Abbi Decker ’21 is a sophomore Honors Fellow majoring in elementary education. I am originally from Portland, Oregon and one of my favorite things about the Elon School of Education is how uniquely devoted the community is to undergraduate research and inquiry! For my Honors Thesis, I am currently conducting research on how students explore, communicate, and perform gender in nature-based education settings. Despite the course load that comes with a major in the School of Education, I want prospective and current students to know that opportunities like research and study abroad aren’t only possible, but incredible supplements to our learning experience here at Elon! 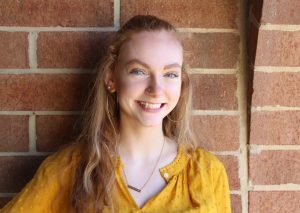 I wanted to become a School of Education Ambassador because I hope to help other students find the same home, family, and endless opportunities within the School of Education that I have found. I’m so excited to represent such an amazing program! 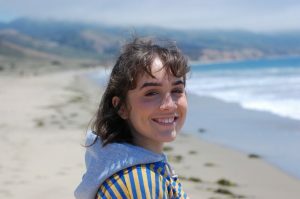 Nicole Kister ’20 is a junior Teaching Fellow from Olney, Maryland majoring in Secondary Mathematics with Teacher Licensure and minoring in Computer Science. One of my favorite parts of the School of Education is all the opportunities I have been given, including a five week placement in New Zealand and connections to great current and future educators. 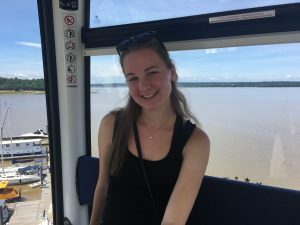 As a Teaching Fellow, I instantly had a group of like-minded people around Elon who were also passionate about education, but I have enjoyed learning alongside Teaching Fellows and education majors alike. Along with being the Class Chair for Teaching Fellows, I am a member of Tri Delta, Parent’s Night Out, and have been an Orientation Leader for the past two fall semesters. 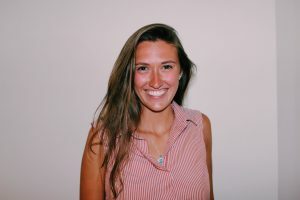 Paige Knapke ’20 is a junior Elon Teaching Fellow and North Carolina Teaching Fellow from Cary, North Carolina, majoring in elementary and special education with a minor in psychology. I am excited to serve as an ambassador for the School of Education! As an ambassador I hope to promote the range of programs that the School of Education offers to prospective students and increase the school’s presence on campus. The School of Education fosters a supportive and collaborative community which I feel should be shared with everyone within the school and the university. Through my Elon education courses I have volunteered in four different schools across elementary grade levels. I also had the opportunity to study abroad for a semester in Oxford, England with the Teaching Fellows program. Outside of the School of Education I am involved with Kappa Delta Sorority, Elon Volunteers Alternative Breaks Program, The Village Project, and Alpha Phi Omega Service Fraternity. 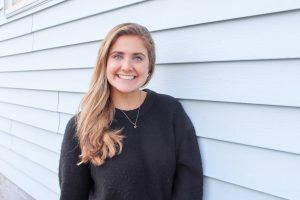 Micaela Malachowski ’20 is a junior Elon Teaching Fellow from Collegeville, Pennsylvania majoring in Elementary Education and minoring in Poverty and Social Justice. After graduating high school, I took a gap year teaching fourth graders in a Title 1 school through City Year Philadelphia. Ever since then education has been my passion. In my free time, I volunteer, run, travel, and immerse myself in a variety of clubs and organizations on Elon’s campus. I have created incredible friendships within the Elon community, especially through the School of Education. I truly feel as though I have found my home away from home. 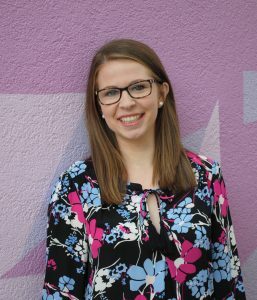 Makenzie Mason ’21 is a sophomore Elon Teaching Fellow, majoring in special education and elementary education! I am from Langhorne, PA, a suburb of Philadelphia. I love the School of Education because it offers a great sense of community and camaraderie between students and the amazing faculty. It truly feels like home! I am so excited to be representing the School of Education, and all of the wonderful opportunities offered here! 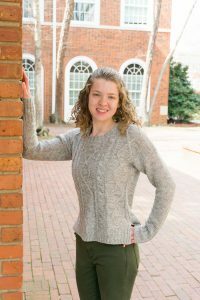 Elizabeth Norvell ’21 is a sophomore teaching fellow from Morganton, North Carolina, majoring in special education and elementary education. I am involved in many things on campus, but being an ambassador for the School of Education is one of my favorites! I love the School of Education because it allows you to build relationships with other students and faculty, gain experiences, and be surrounded by an amazing community of people who want you to succeed. I immediately felt welcomed in the School of Education and it has become like a second home to me and many others. I’m so excited to represent such an amazing program, because I truly believe there’s no where else quite like it! Dierdre Shivak ’21 is a sophomore Elon Teaching Fellow from Long Island, New York majoring in elementary education and special education. Although I am involved in other organizations, I have never felt more at home than I do within in the School of Education and the ambassadors. I love the School of Education because it provides endless opportunities, relationships and friendships that will last a lifetime, and pushes you to become a better future educators and a better you! I am so excited to be working with the School of Education Ambassadors to support my peers, future Elon students, and my home away from home! Hannah Steffenson ’20 is a junior, born and raised in the northern part of Chicago, Illinois. I am majoring in elementary education and minoring in early childhood education. I am incredibly passionate in creating an equal and equitable education for each of my students. I want every student that I teach to benefit from the proper education that helps them strive for greatness and do better in the world. Outside of my time in the classroom, I enjoy spending time with my family and friends, sailing on Lake Michigan, taking my dog for walks, and traveling. I recently returned from a semester studying abroad in Copenhagen, Denmark, where I took my love for education to a new level. I was placed in a Danish preschool and was able to have a first hand look at Nordic school systems, which I would love to bring parts of into my classroom in the future. One of my favorite memories in the School of Education has been working in The Village Project. Each week you are paired with a child who needs some extra attention and tutoring in the Elon/Burlington area. These relationships have been some of my favorite and strengthened my passion for equitable education. 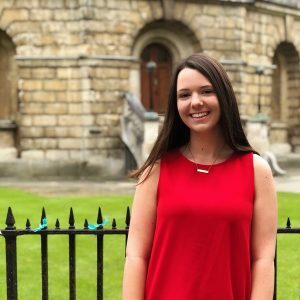 Maclean Wilson ’21 is a sophomore Elon Teaching Fellow from Richmond, Virginia. I am majoring in elementary education and minoring in early childhood education. I have known since second grade that I wanted to be a teacher and this childhood dream of mine is finally becoming a reality! I am so excited to serve as an ambassador for the School of Education so I can spread the word about its incredible program. In fact, Elon was the only school I applied to because I knew the opportunities here were ones I wouldn’t have been able to get anywhere else! 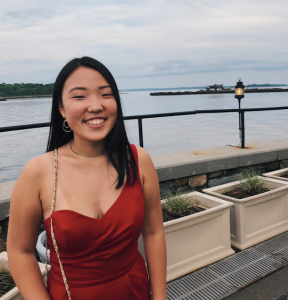 Chloe Yoon ’22 is a first-year Elon Teaching Fellow majoring in English with teaching licensure with 3 minors in policy studies, poverty and social justice, and peace and conflict. I am from Westchester, New York – right outside the city! I am passionate about education reform and policy, and I eventually hope to pursue a career in this sector after teaching. Outside of the classroom, I am an avid reader, writer, and traveler. Teachers are a crucial aspect to the future generations of creativity and innovation. To be a part of this movement is something I look forward to.